A catchy collection of original music with a musical tribute to a few legends who are a collective part of the influence on the original music put forth by this band. 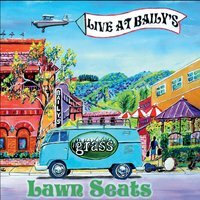 Grass is the band, John Lane is the voice, his mind created the songs. An independent, original musician surrounded by total pros, this collection of live recordings gives you a good insight to the creative lyrics, the stories, the sound and the experience of this band. www.grassband.org is the one stop shop for all roads leading to all things related to their very different, blues rock style.